Toronto, Ontario’s very own punk powerhouse -- PUP -- release their already critically acclaimed new record Morbid Stuff today on Little Dipper / Universal Music Canada. Produced, recorded and mixed by Dave Schiffman (Weezer, Cass McCombs, The Mars Volta), Morbid Stuff is everything that PUP fans have grown to love about them, but dialed up to 11. The band’s impressive trajectory following their beloved first two records has seen them make their recent late night television debut on Late Night with Seth Meyers, sell-out the majority of their upcoming tour dates months in advance, and the band are just getting started with today’s release of Morbid Stuff. Earlier this week, the band performed on CBC q and tonight PUP will perform a CBC First Play Live starting at 8 pm ET / 5 pm PT. Tune in to watch the band play some new tracks off of Morbid Stuff as well as some old fan favourites HERE. PUP continues on a North America, UK, and Europe tour in support of Morbid Stuff this week. All Canadian dates sold out, as are New York, Los Angeles, San Francisco, Chicago, Boston, Philadelphia, Atlanta, Pittsburgh, Portland, Minneapolis, Washington DC, Brussels, Paris, Berlin, Hamburg, Amsterdam, Cologne and all of the U.K. The band also announced a hometown show in Toronto at Echo Beach on July 21st, with support from Twin Peaks and Charly Bliss. See below to find a show near you, and grab your tickets HERE as these are selling fast. 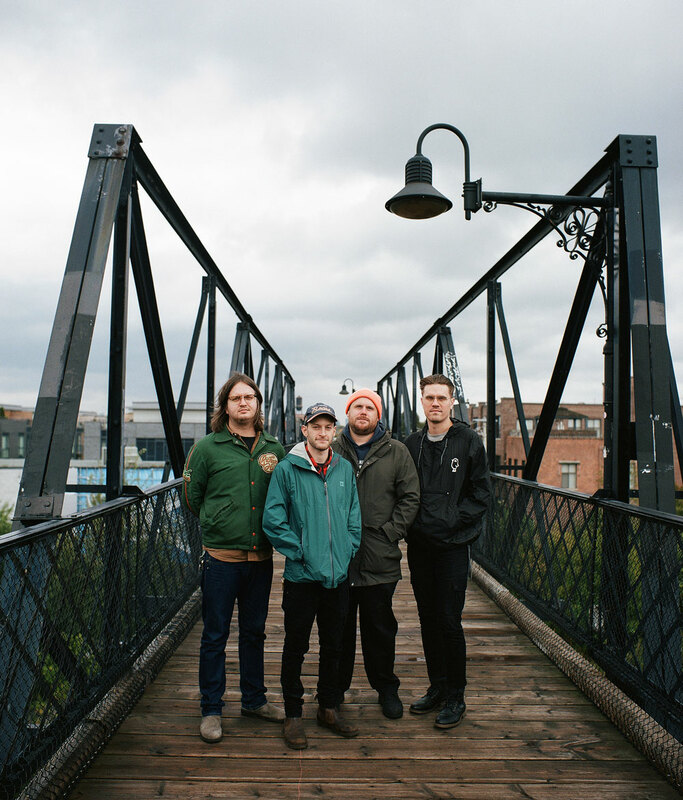 Formed in Toronto five years ago, PUP -- comprised of Stefan Babcock, Nestor Chumak, Zack Mykula, and Steve Sladowski -- quickly became favorites of the punk scene with their first two, critically-beloved albums, winning accolades everywhere from the New York Times to Pitchfork, from NPR and Rolling Stone, and more. Now, with Morbid Stuff, PUP have grown up and doubled down on everything that made you love their first two records. It’s gang’s-all-here vocals, guitarmonies, and lyrics about death. Lots of them. Fitting to their ethos, their new album takes the dichotomy of fun and emotional wreckage in their songs and teeters between gleeful chaos and bleak oblivion while wielding some of the best choruses the band has ever written. It’s the most insightful, sweetest, funniest, sickest, angriest, saddest and most inescapably desperate collection of songs they’ve recorded to date. If their self-titled record was the fuse and The Dream Is Over was the bomb going off, Morbid Stuff is your family sifting through the rubble, only to find you giggling while you bleed to death.